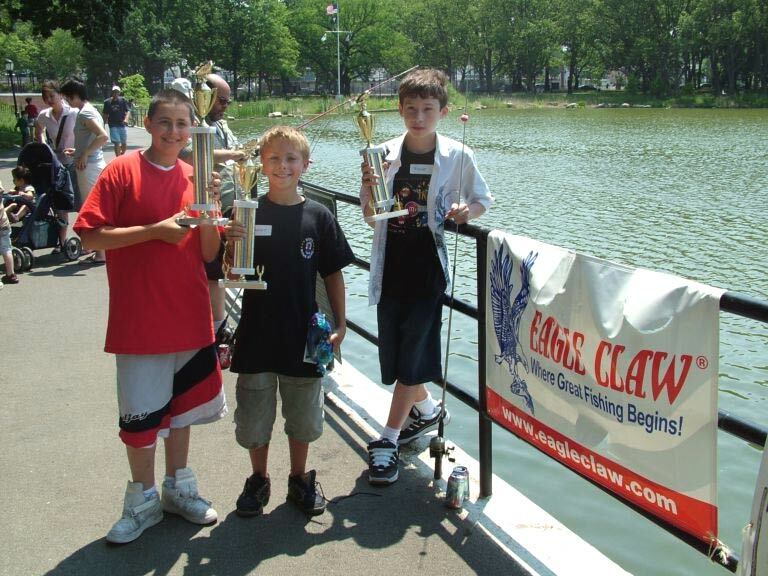 Every year B.A.G. 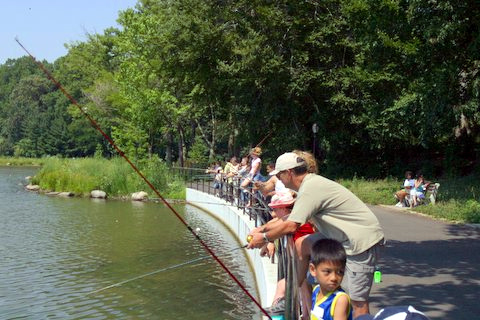 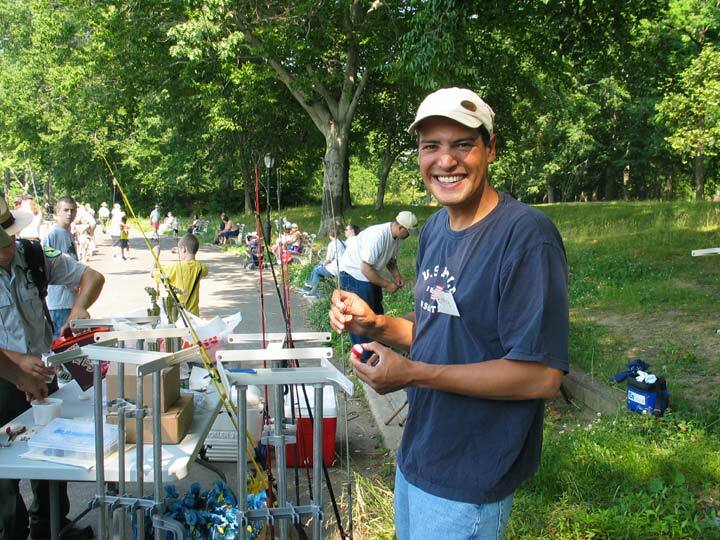 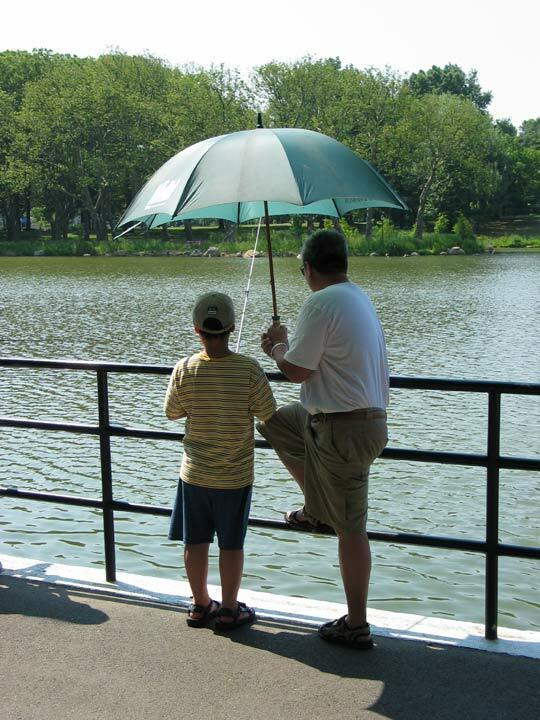 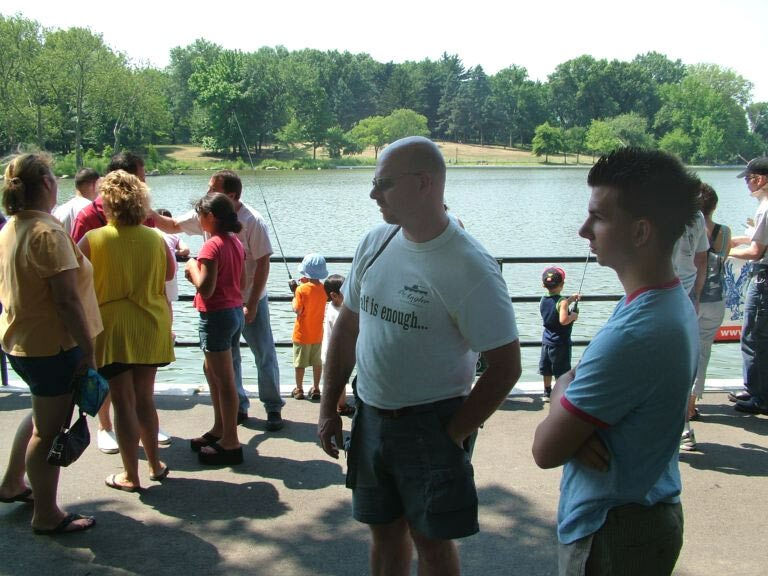 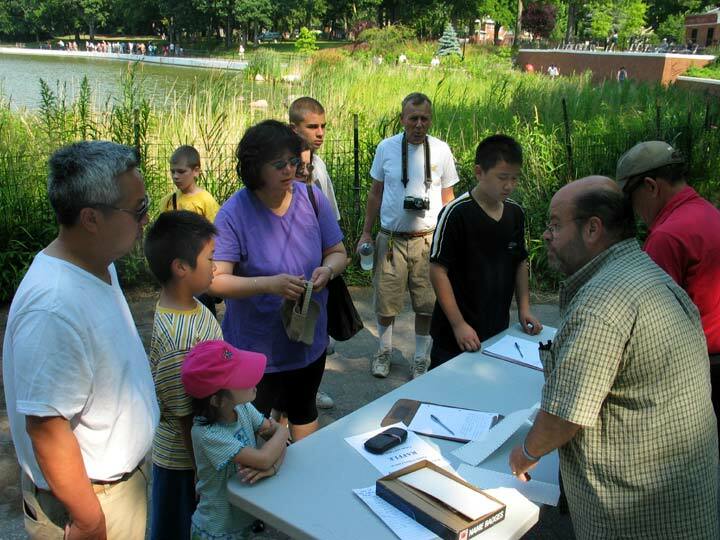 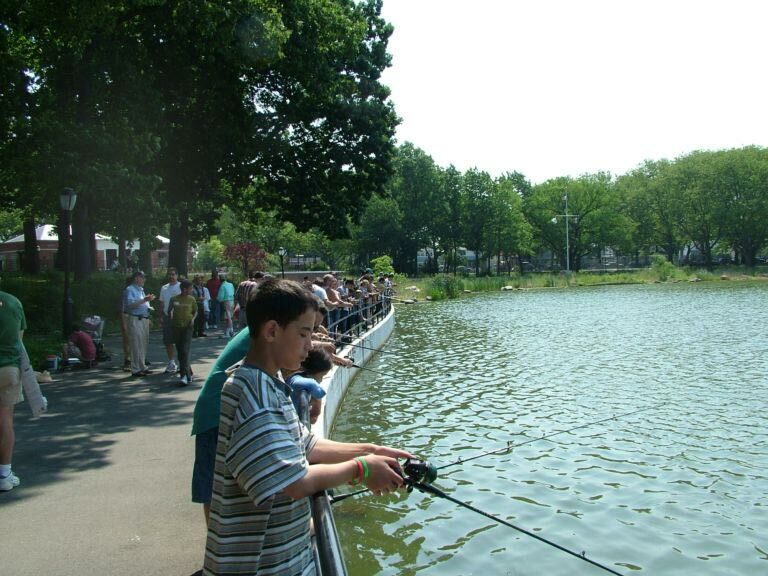 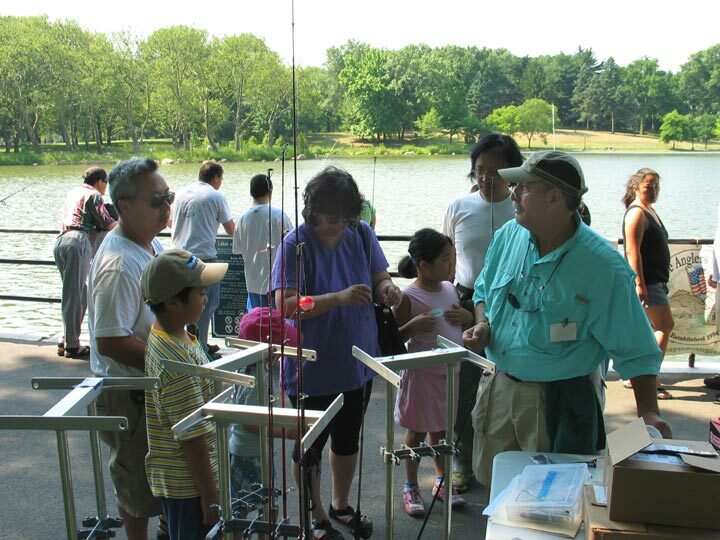 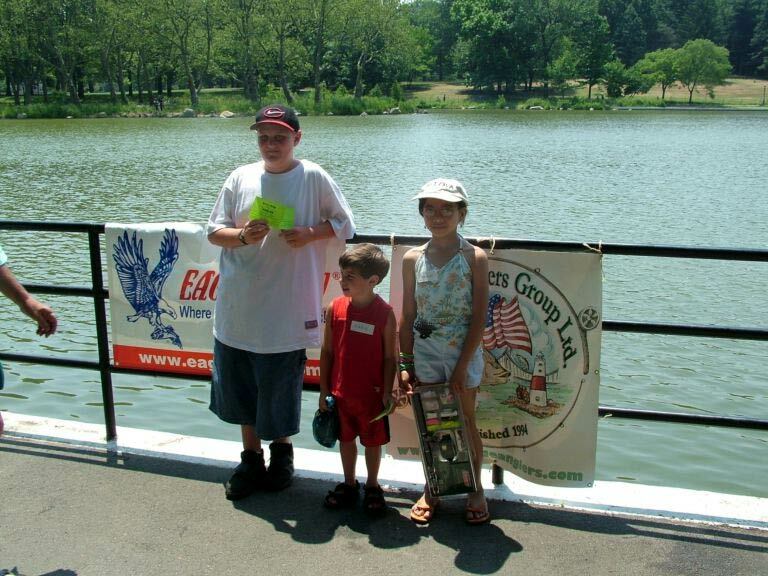 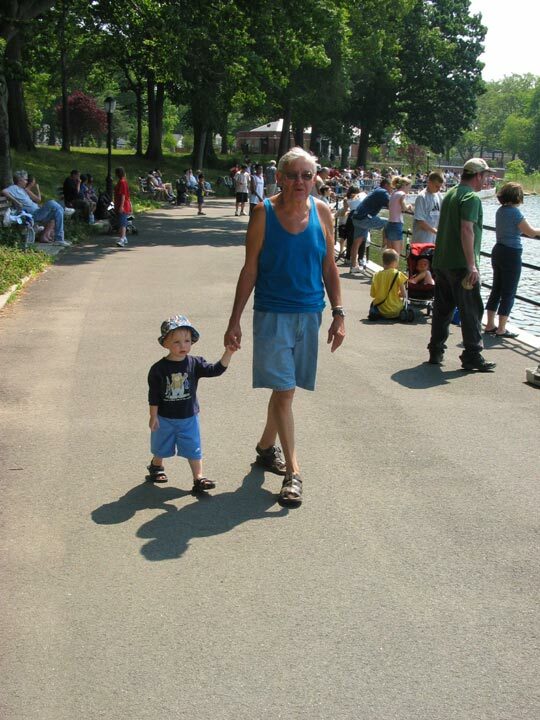 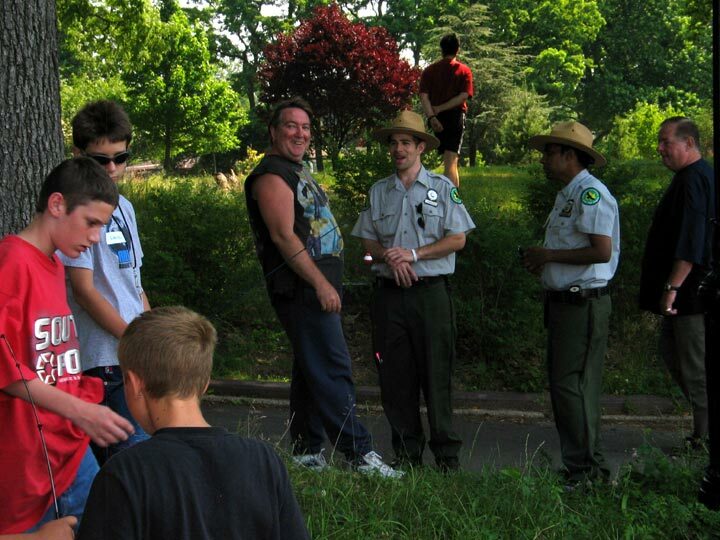 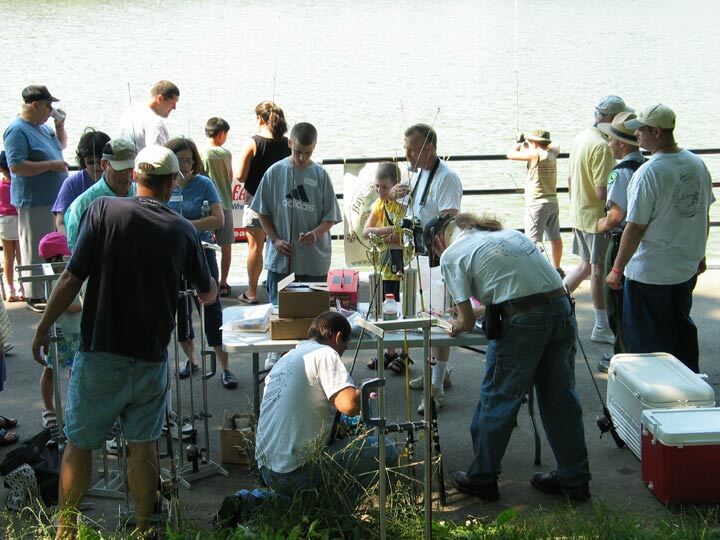 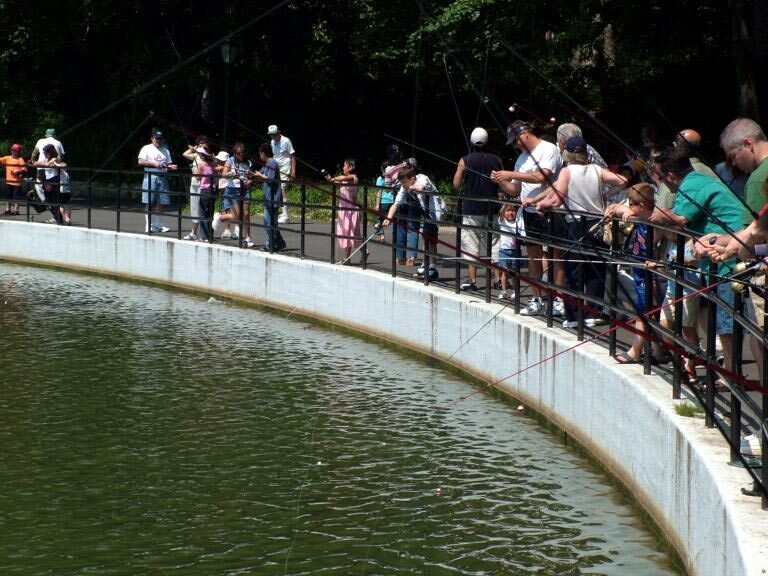 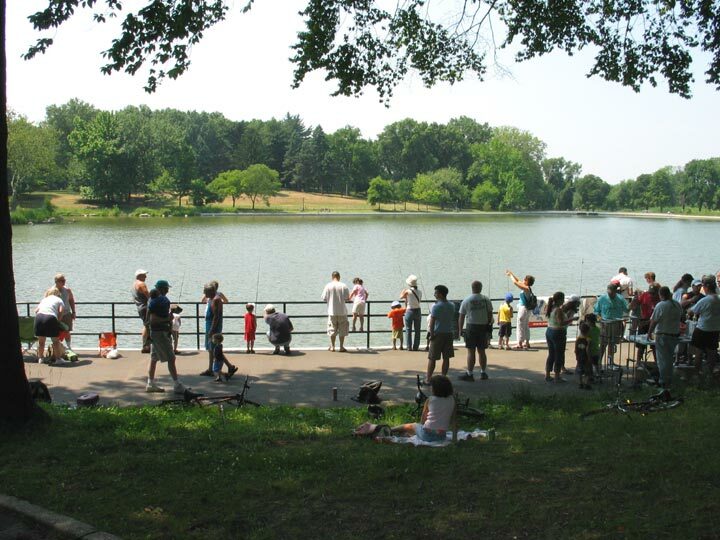 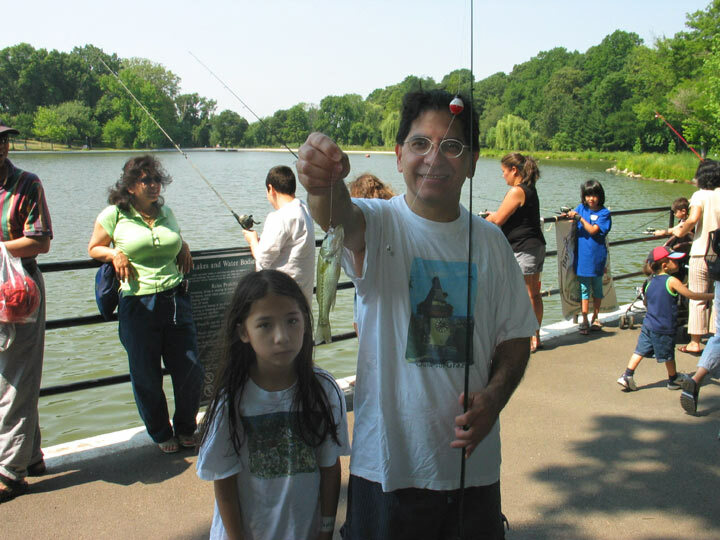 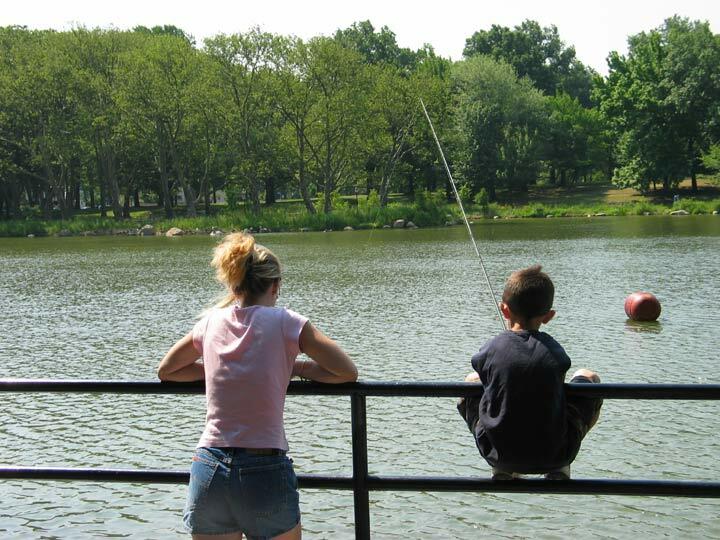 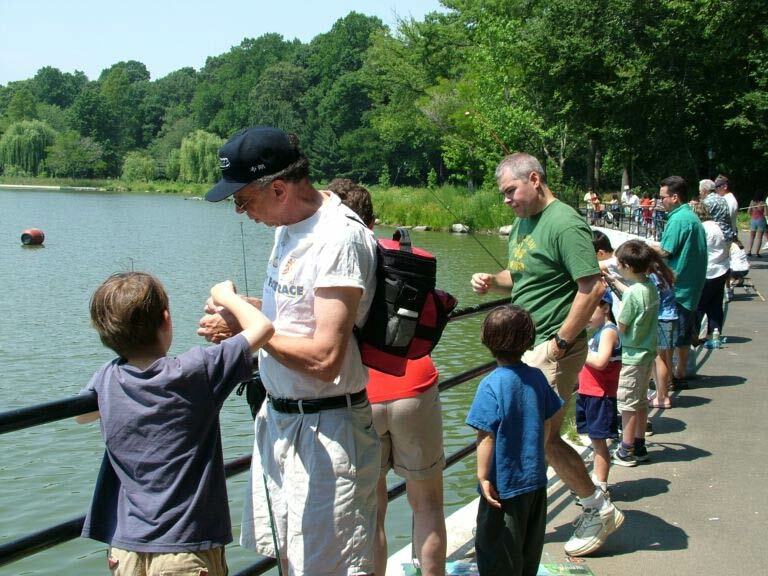 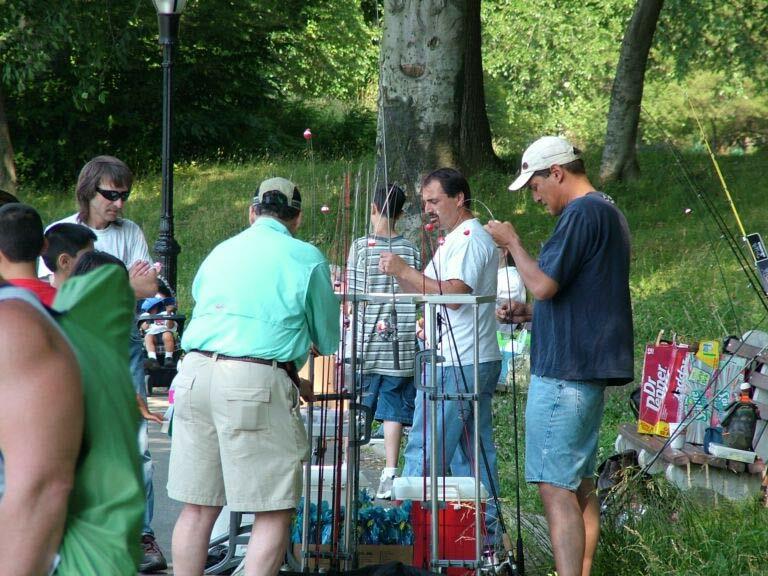 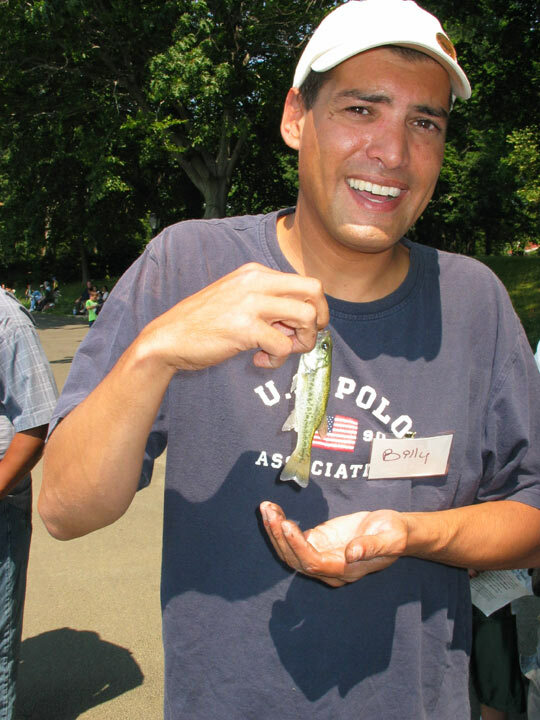 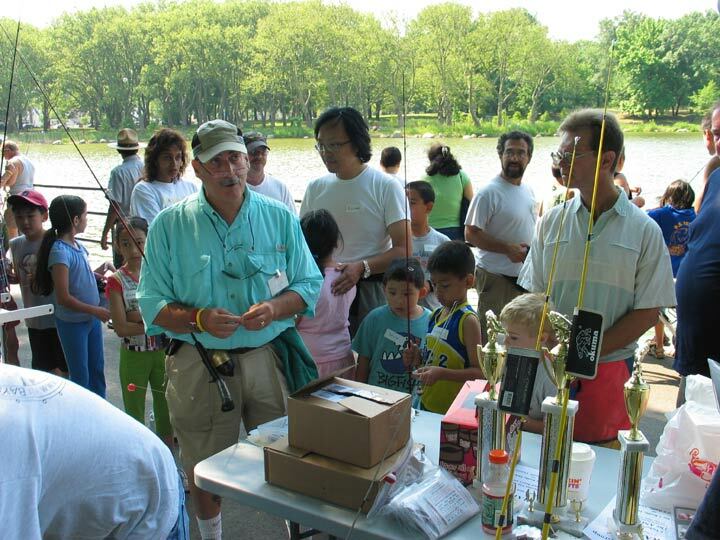 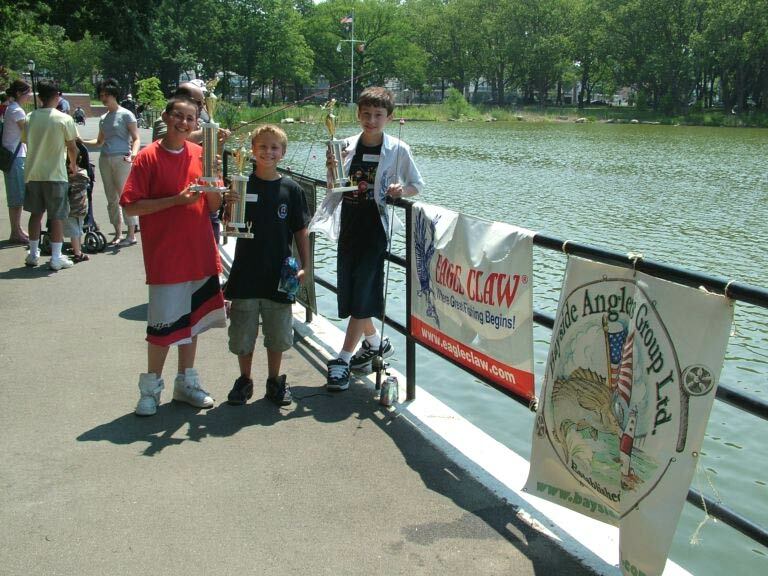 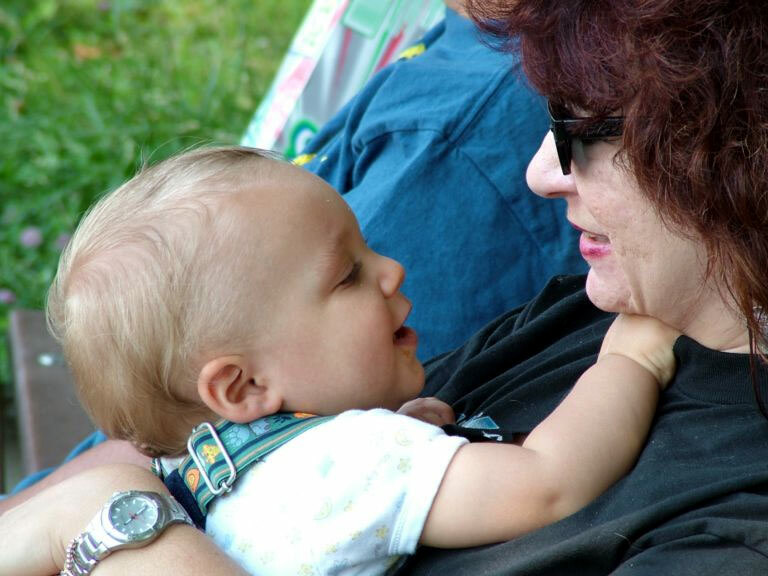 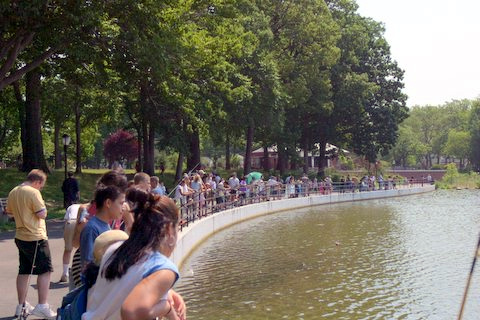 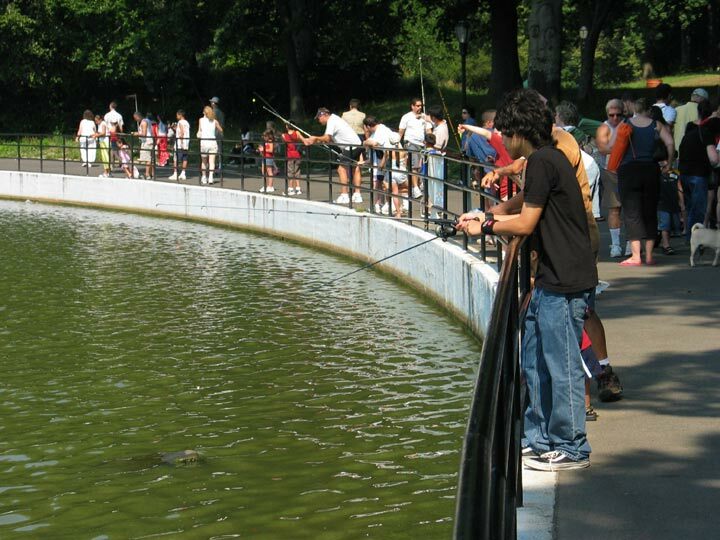 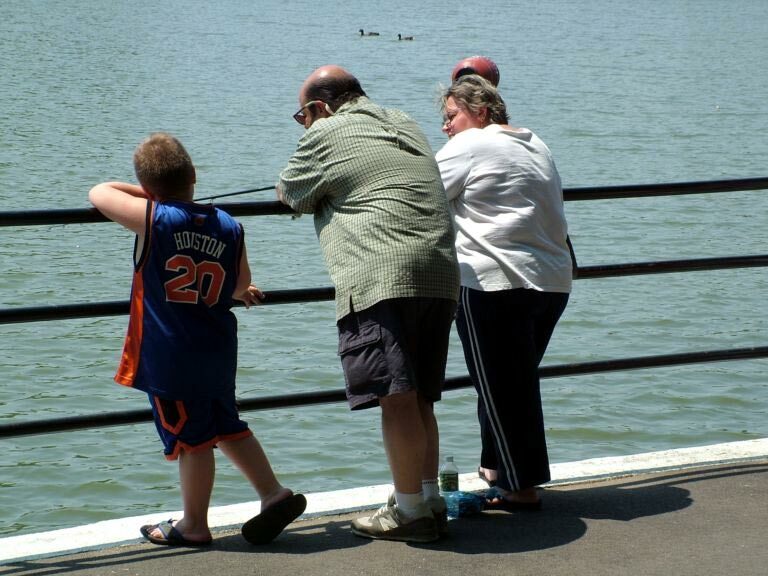 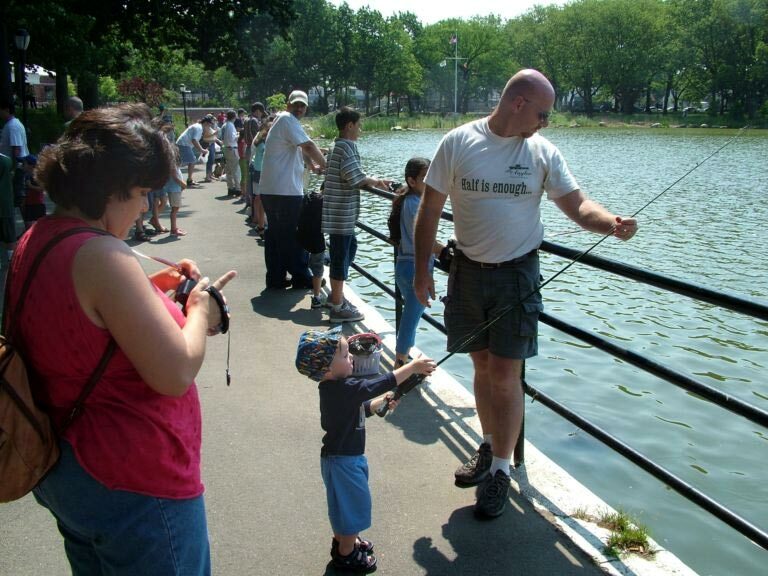 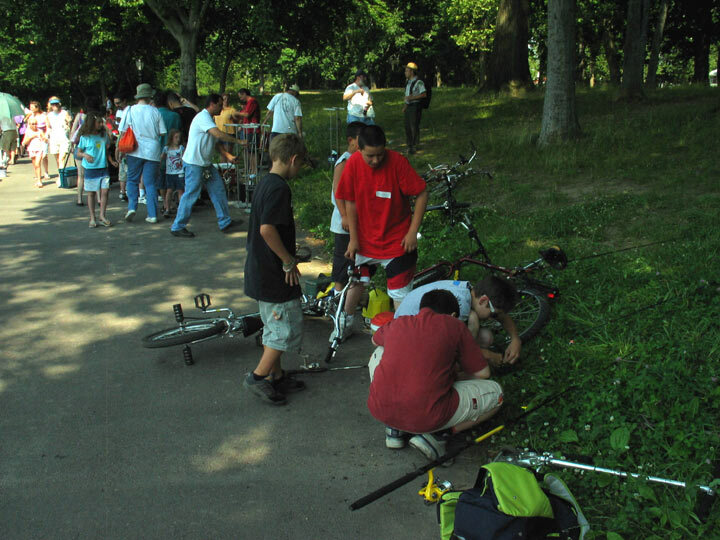 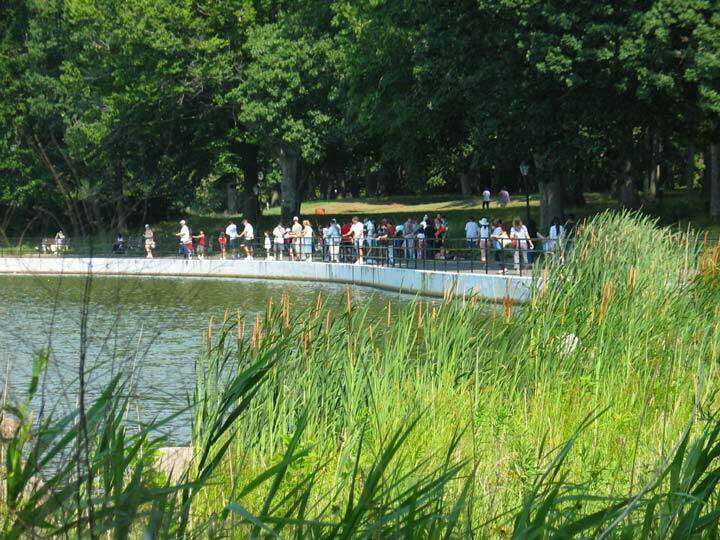 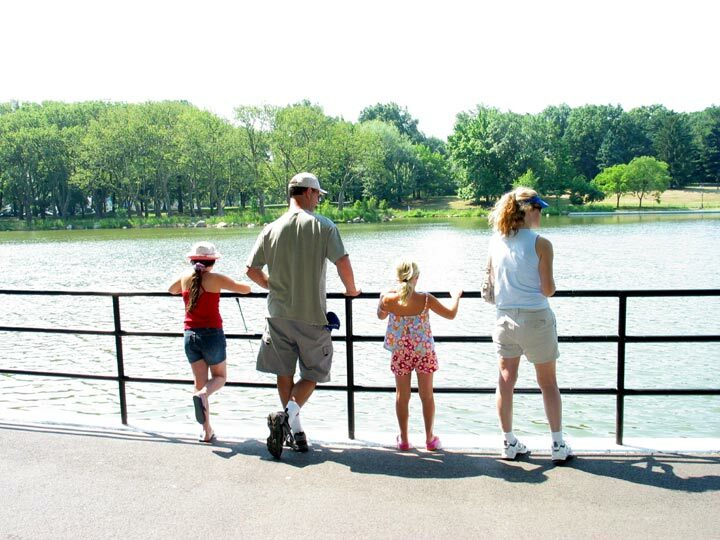 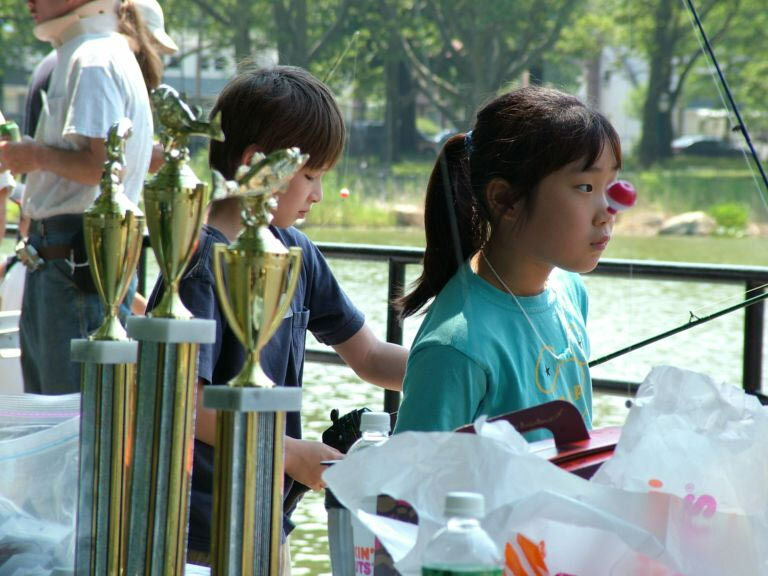 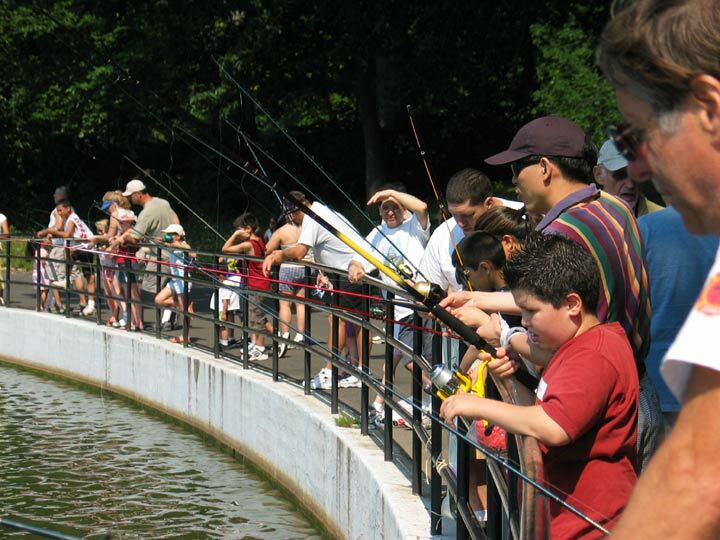 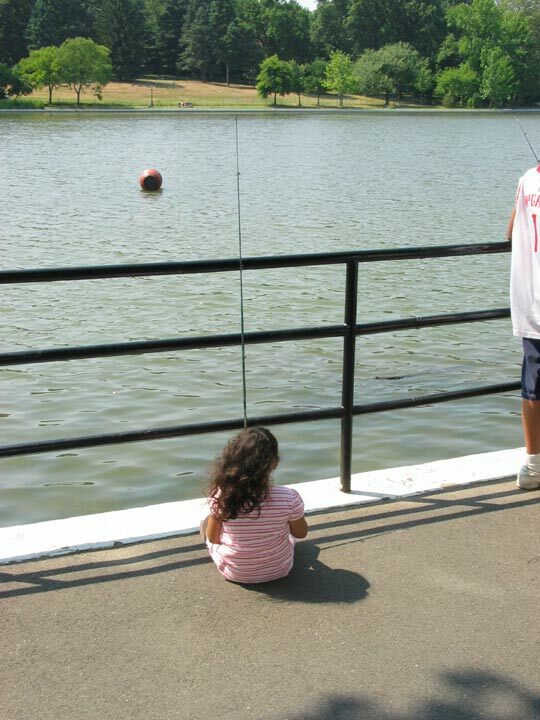 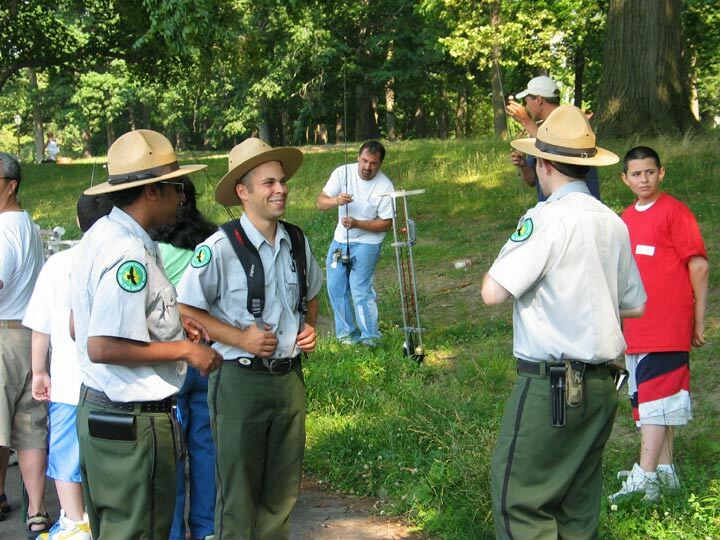 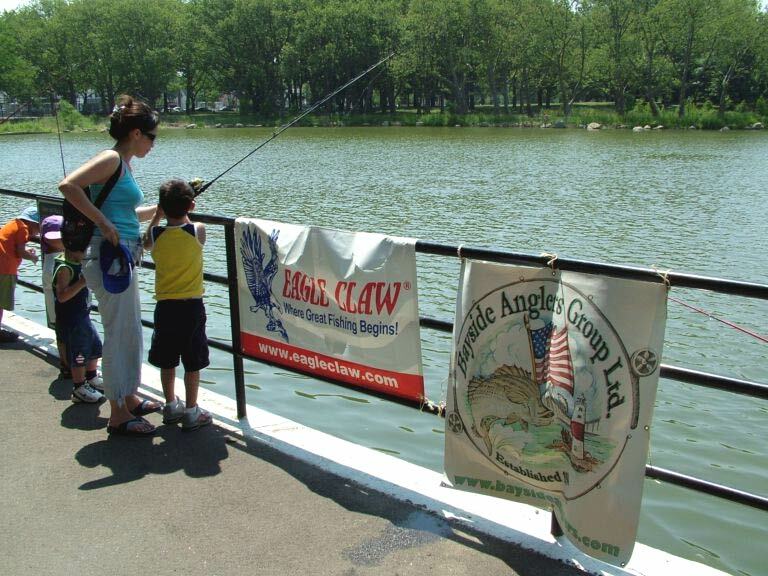 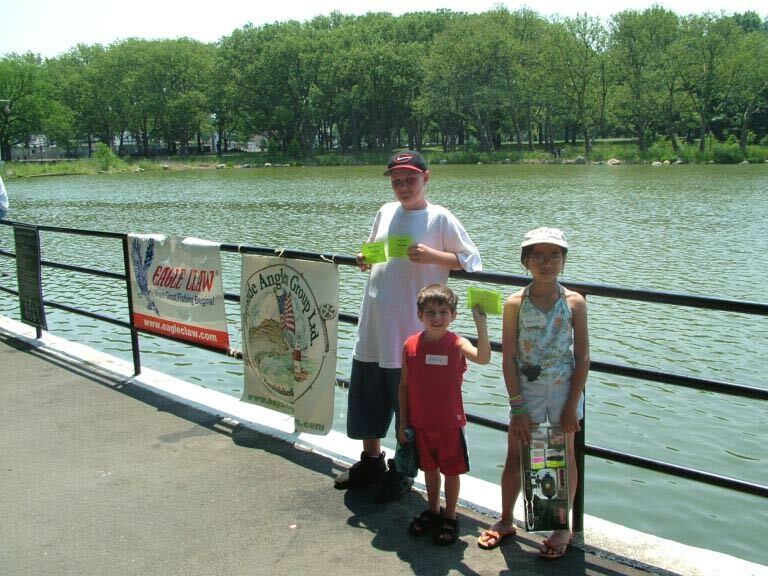 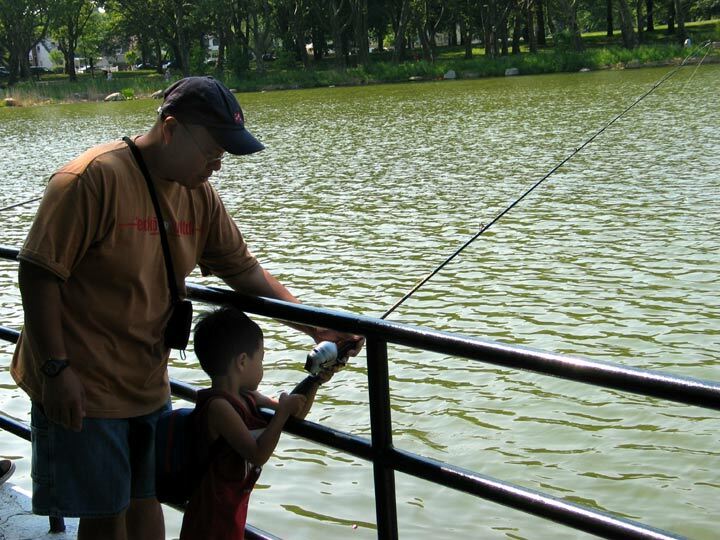 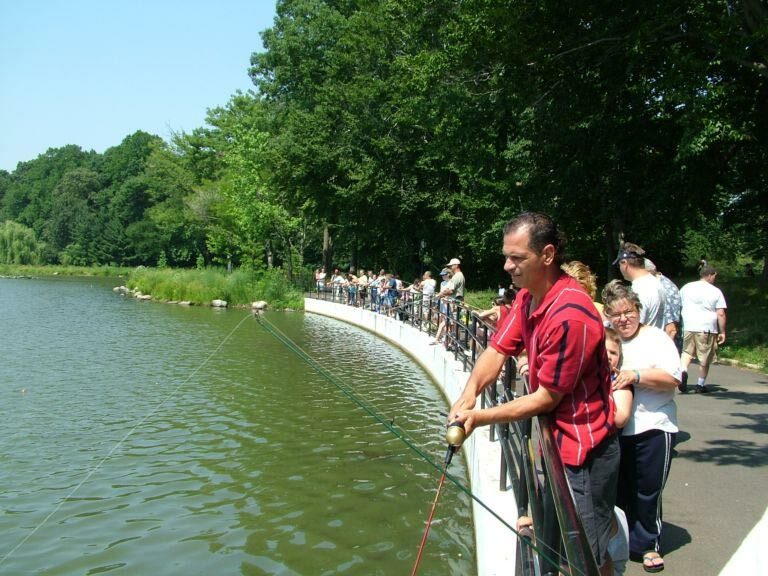 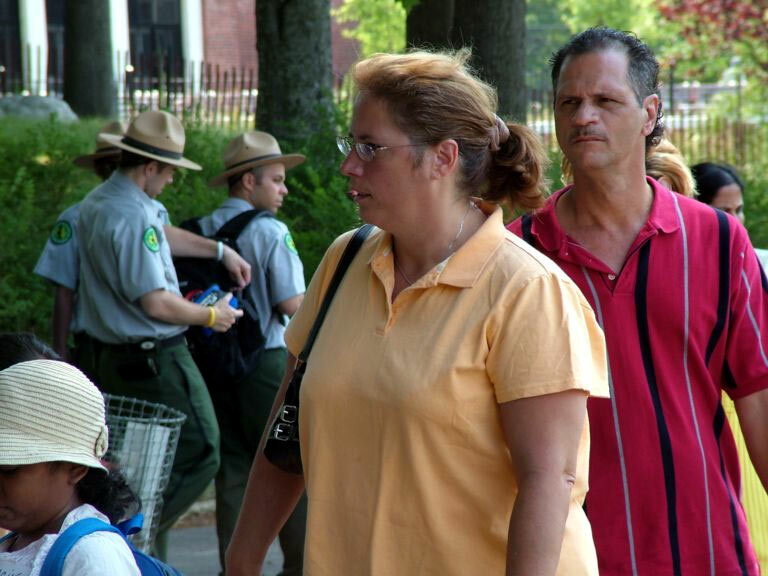 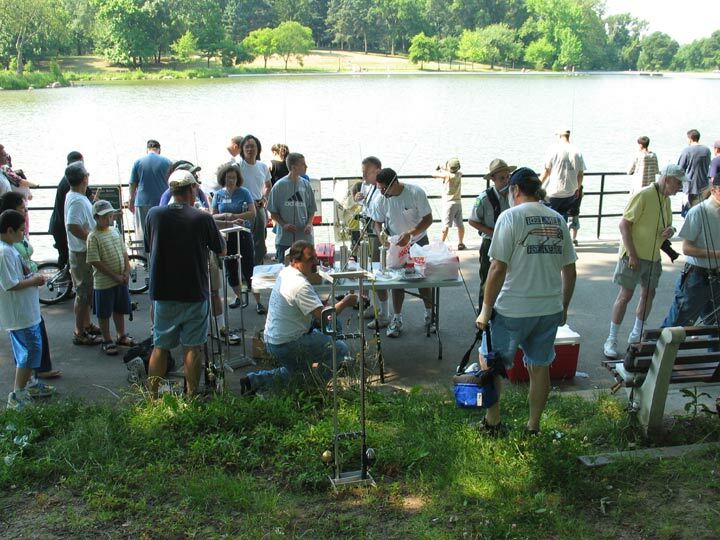 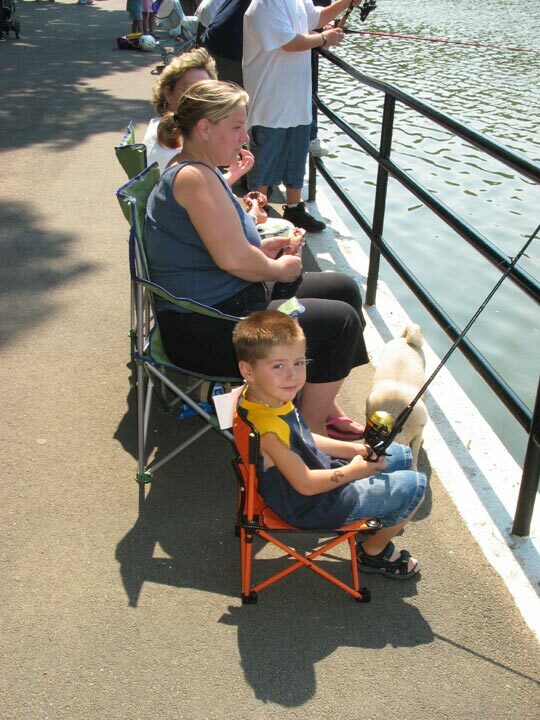 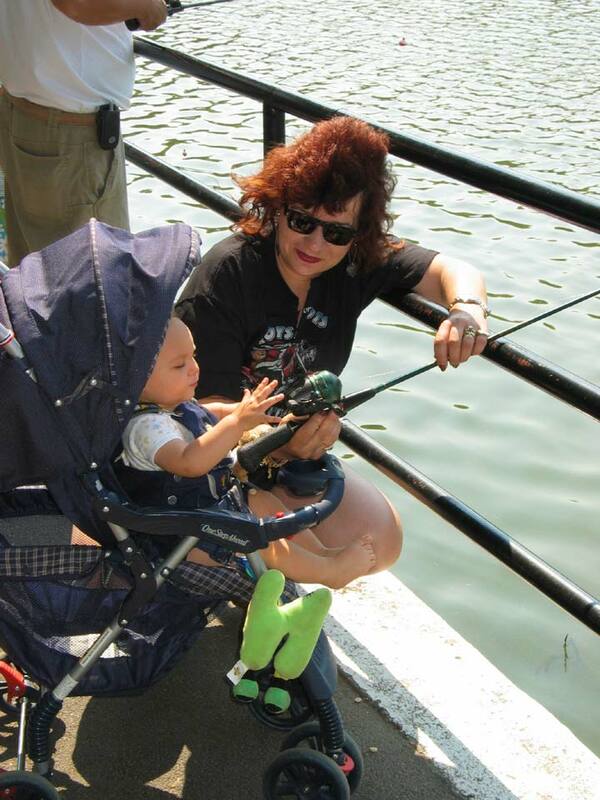 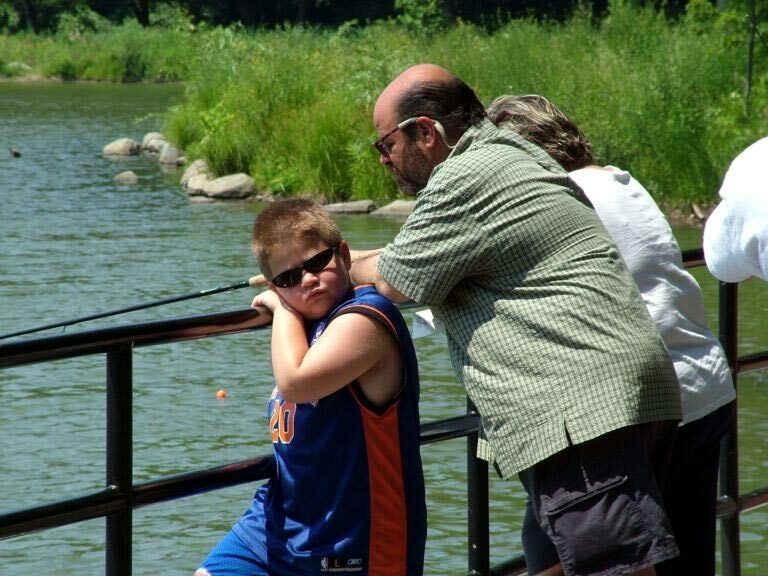 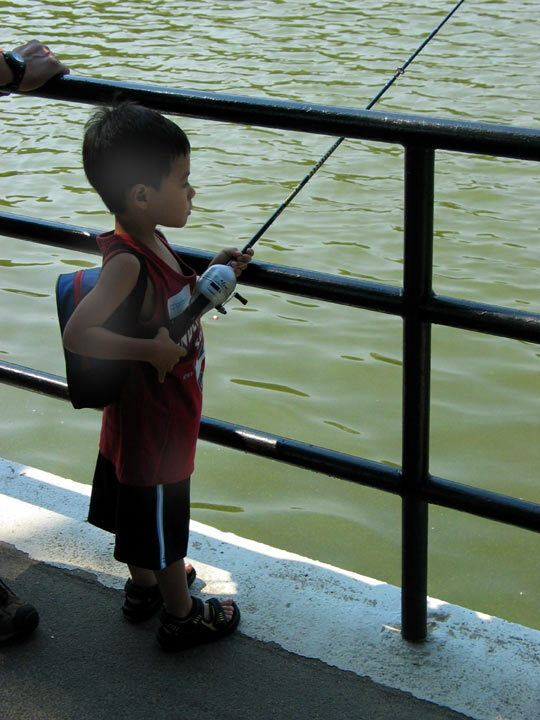 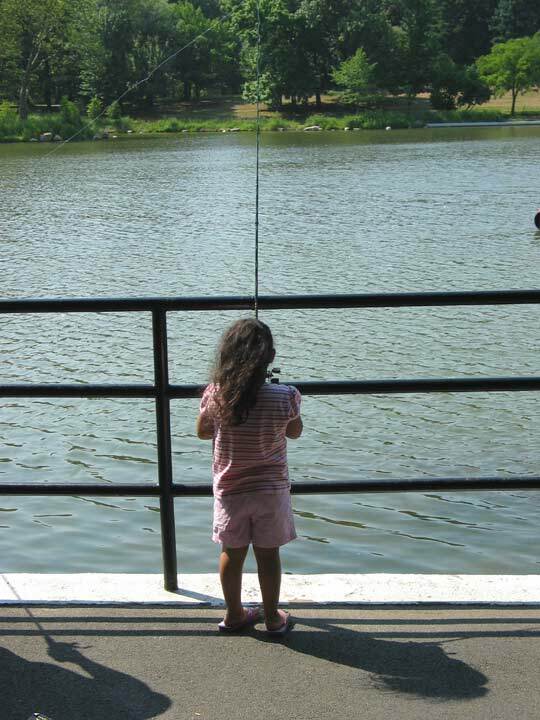 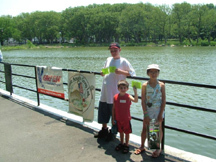 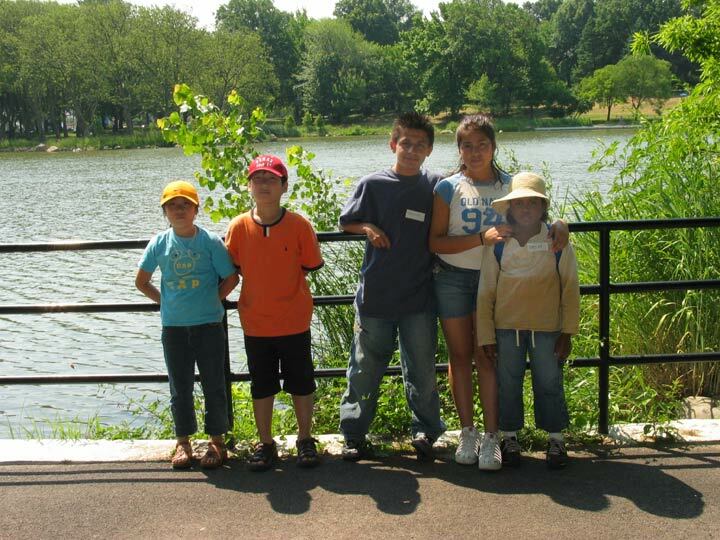 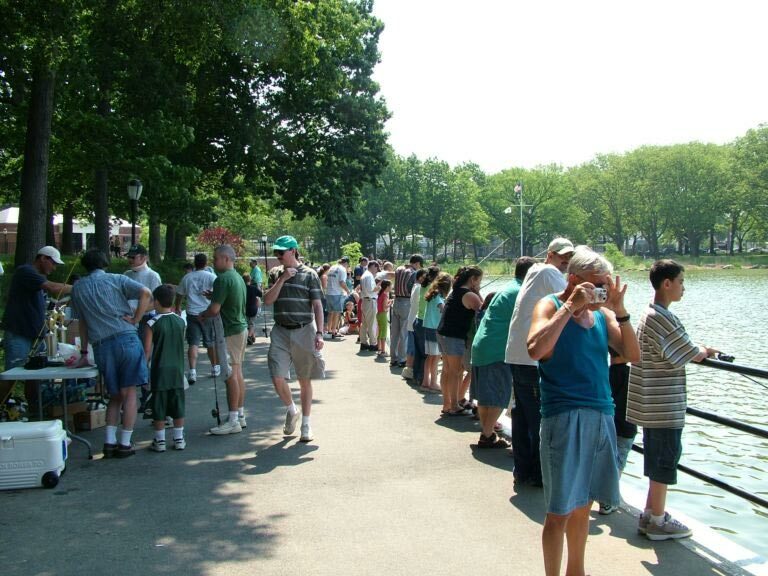 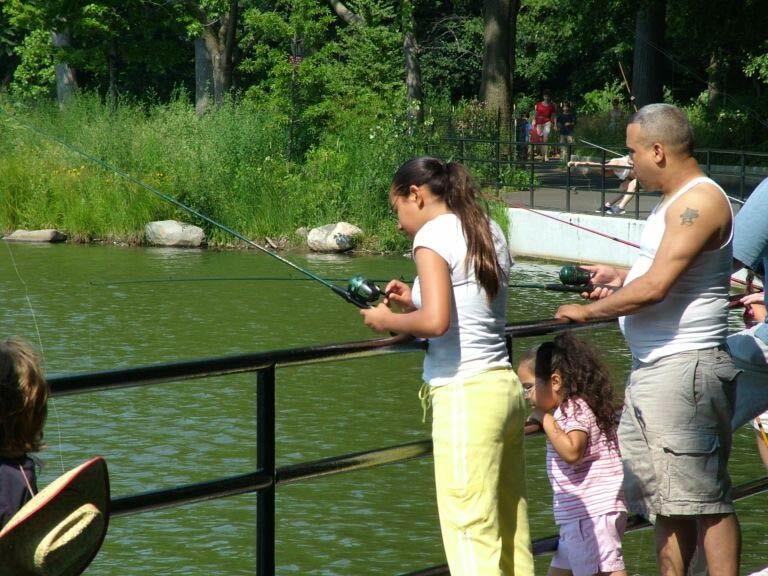 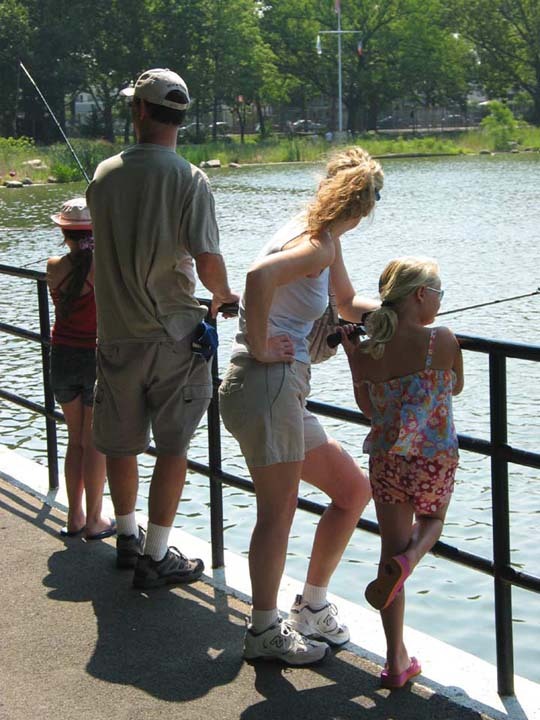 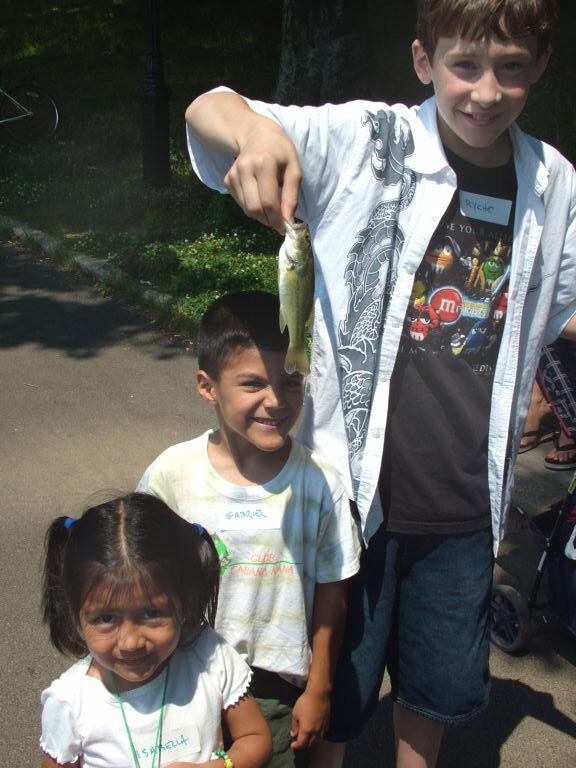 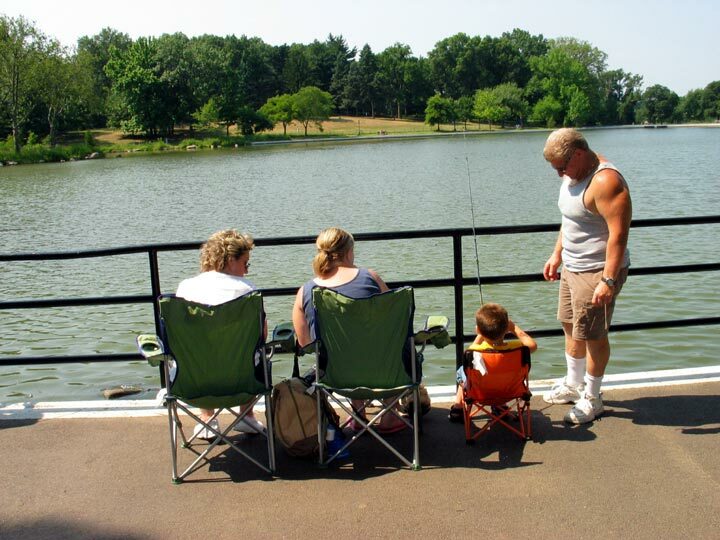 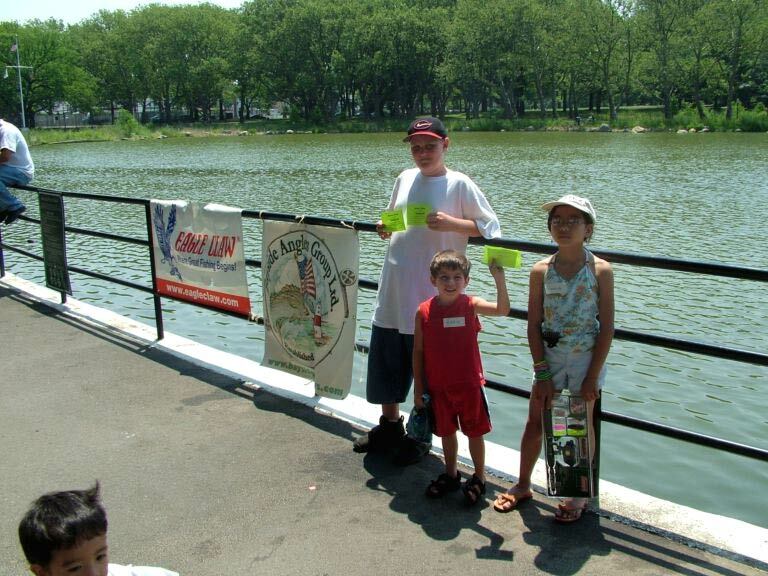 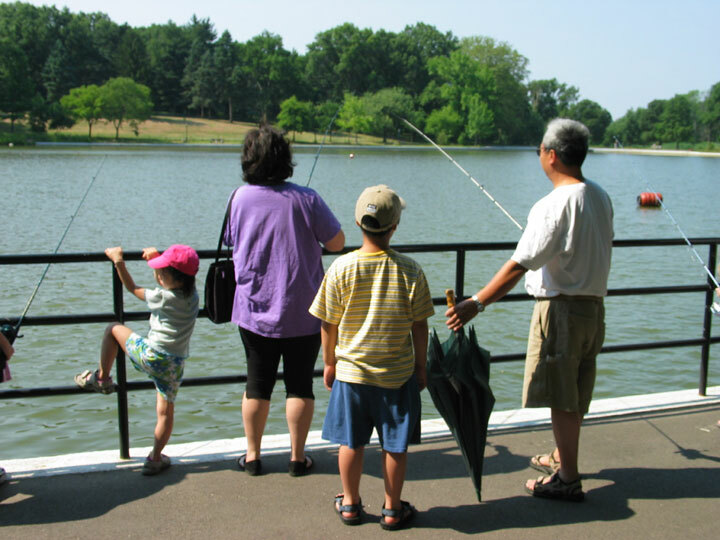 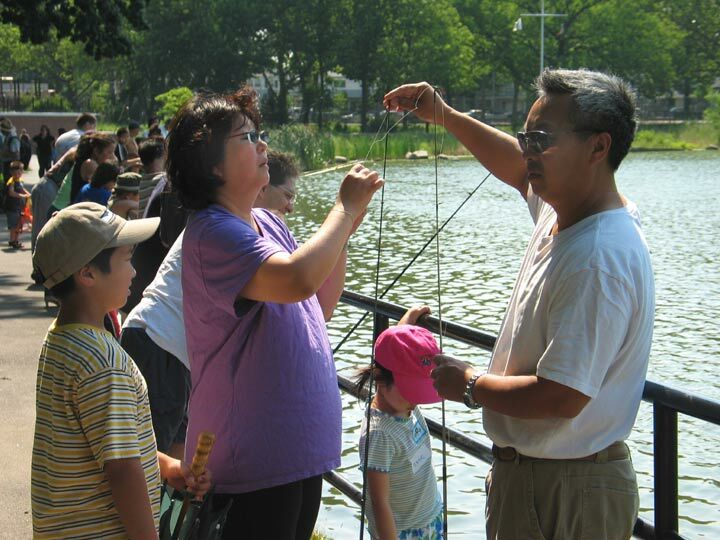 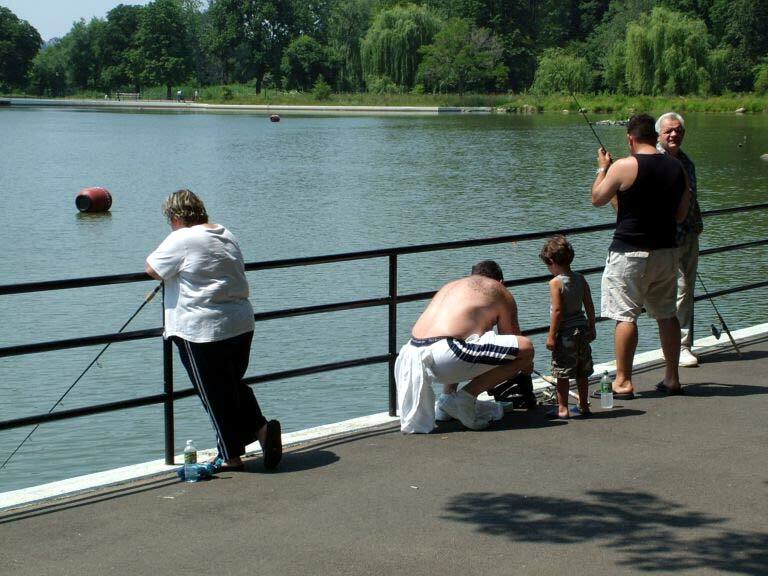 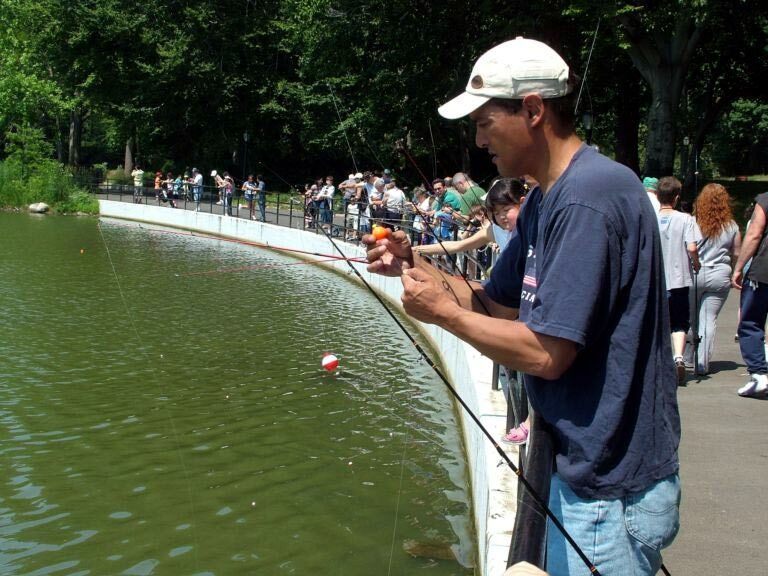 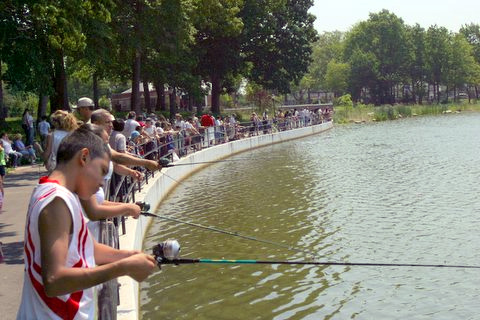 with the cooperation of the NYC Parks Department and the NYS Department of Environmental Conservation, Hosts it's Family Fishing Festival at Kissena Park Lake. 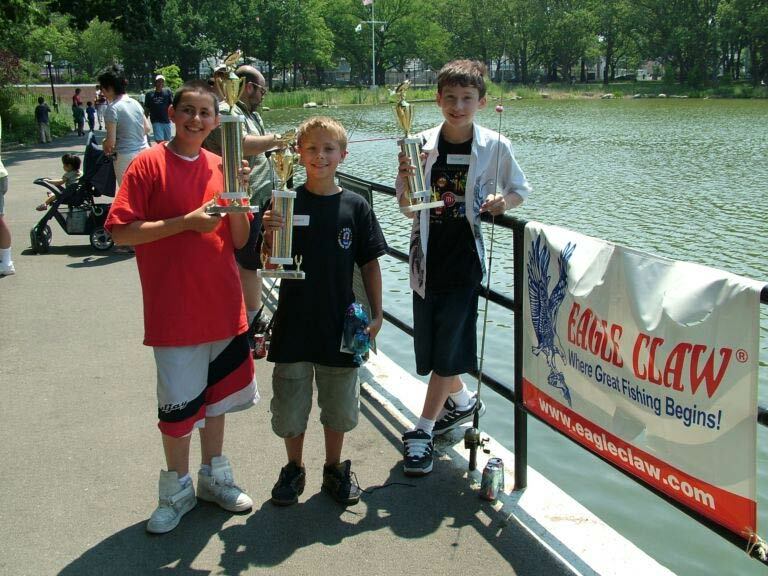 B.A.G. 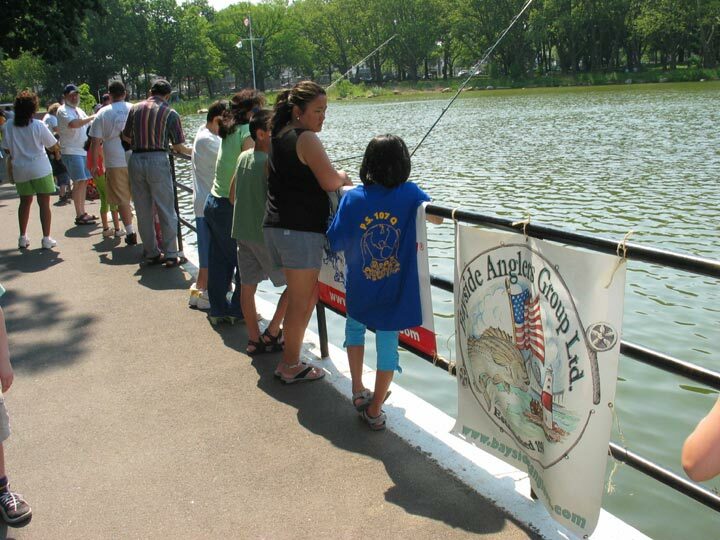 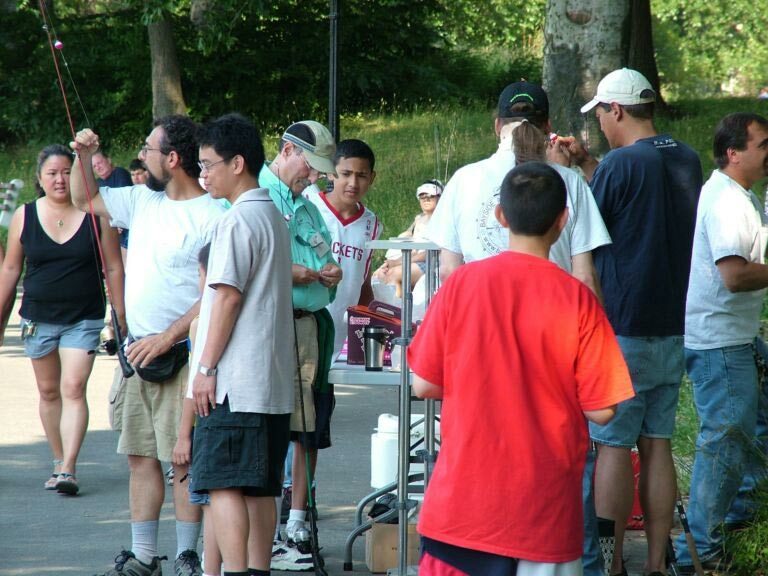 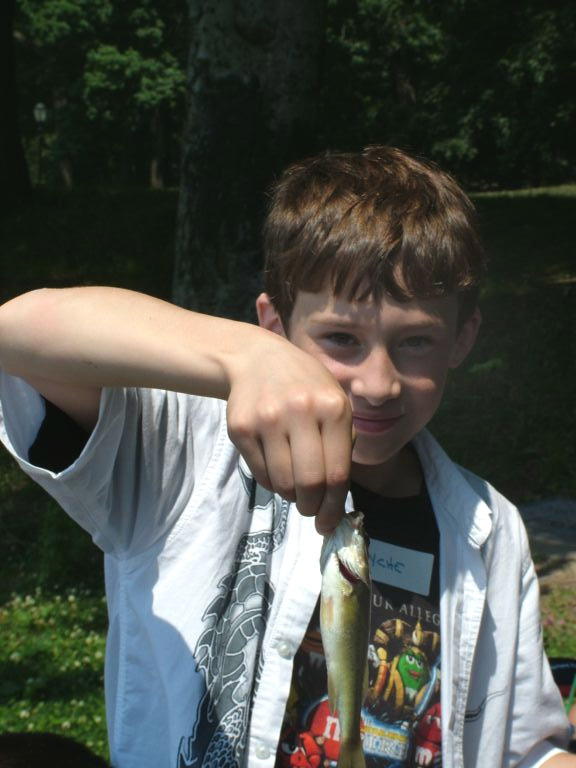 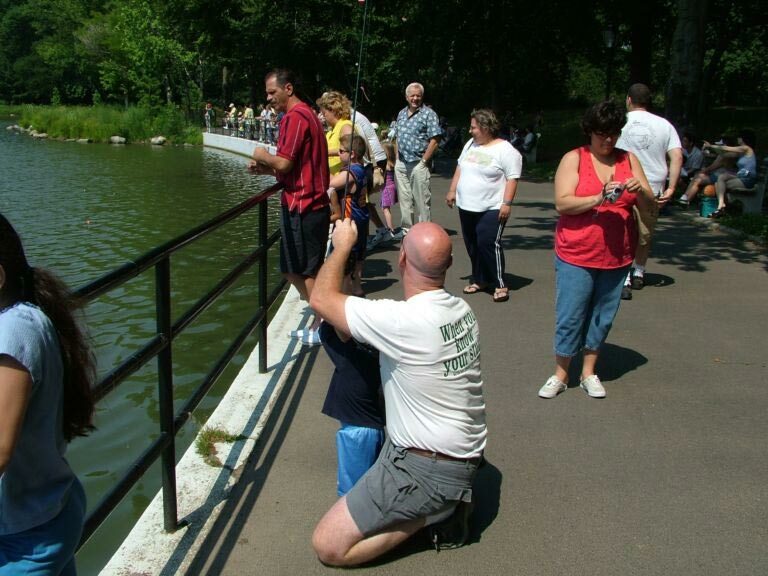 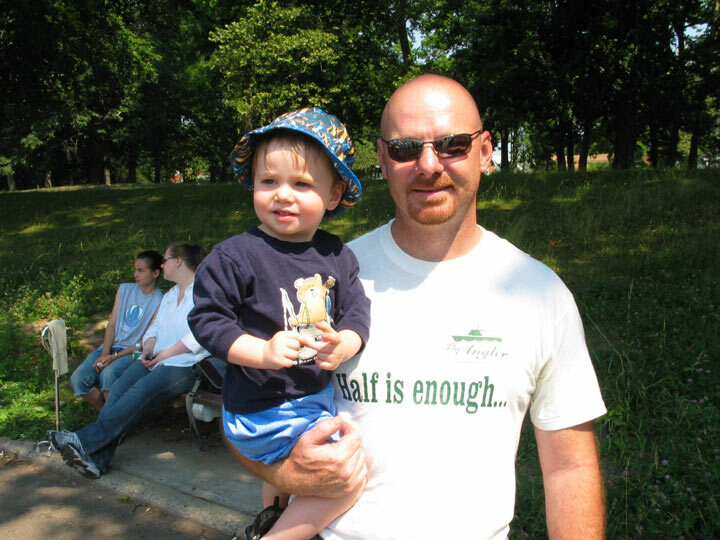 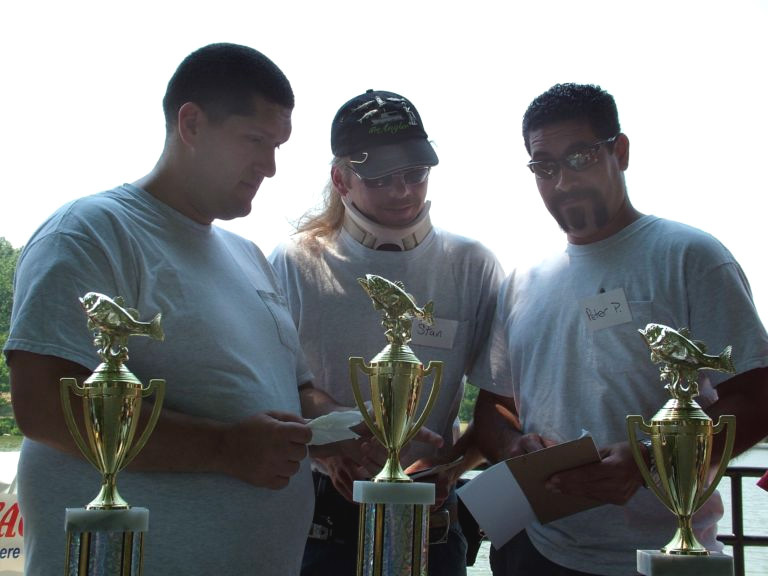 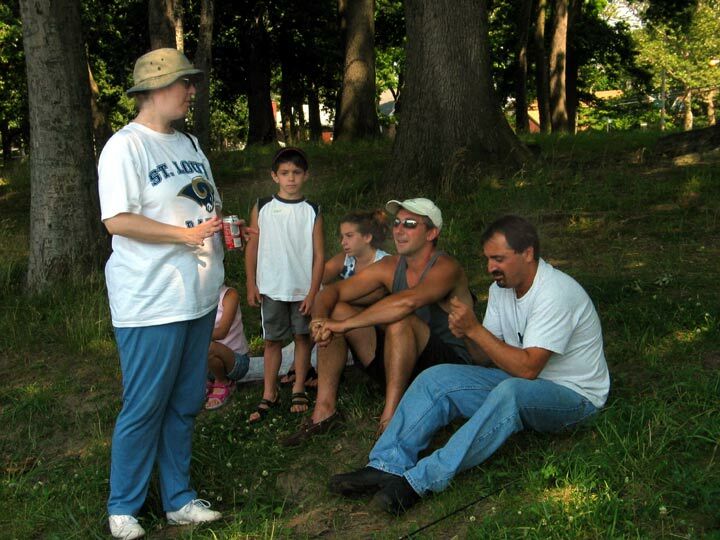 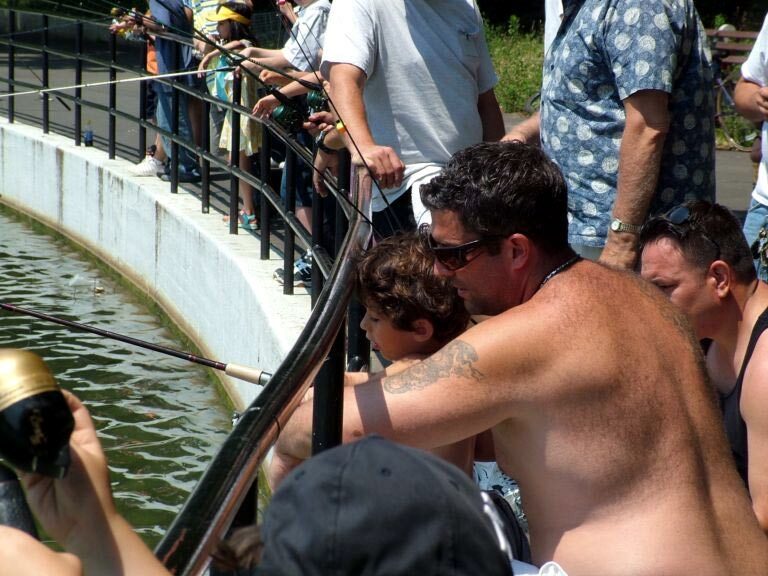 Members take time to introduce kids and their families to the sport of fishing. 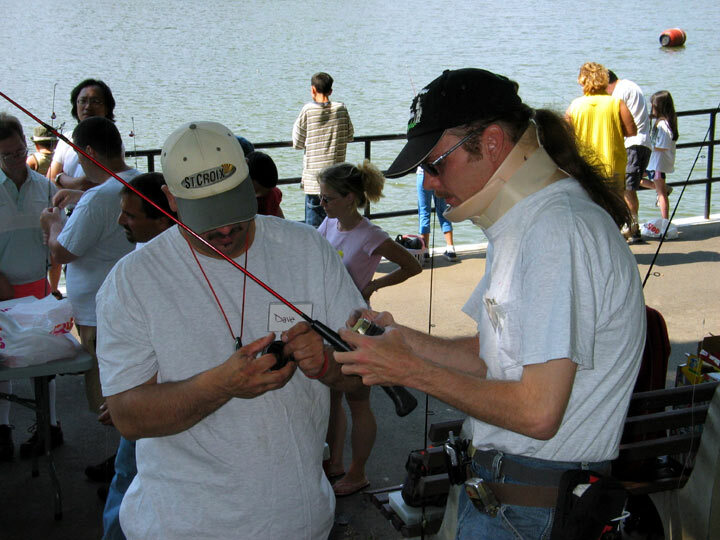 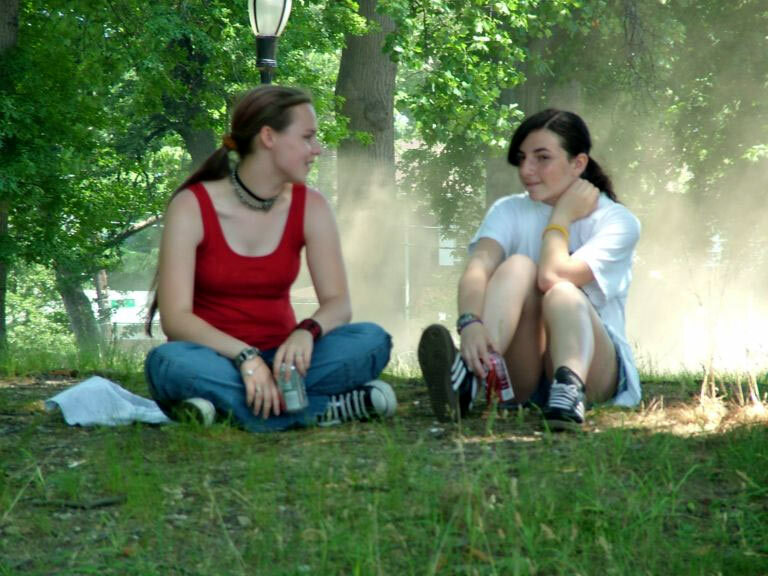 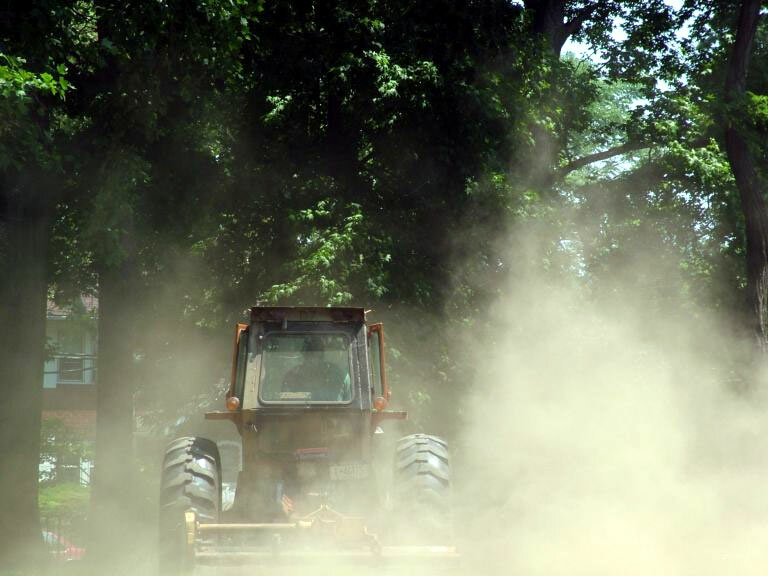 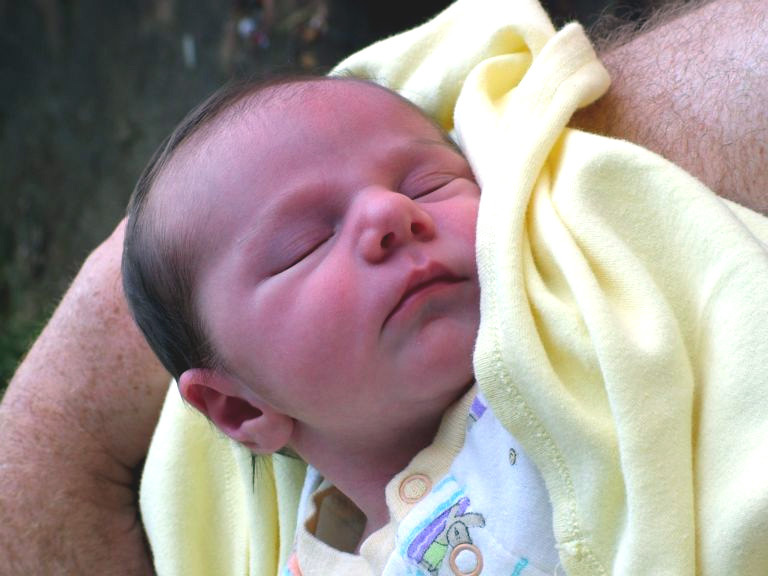 We provide the equipment and the instruction. 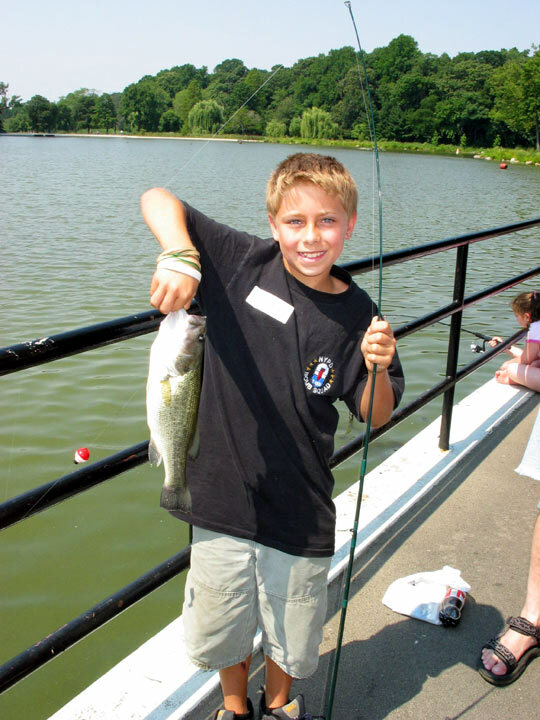 We'll show you how to gear up, Catch, Handle and Release fish. 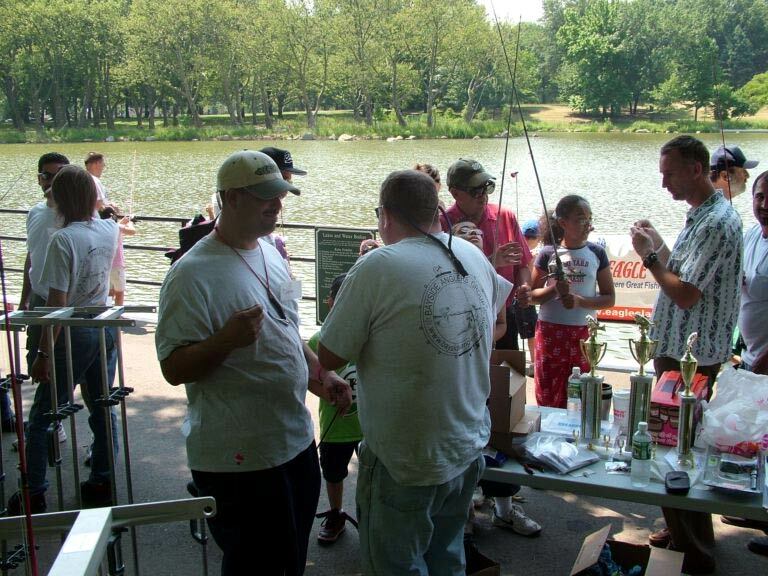 We will also have a raffle to win or 2 tickets aboard the ANGLER (2 sets) or a brand new Rod and Reel Combo in addition to giveaways and trophies for the Biggest Fish. 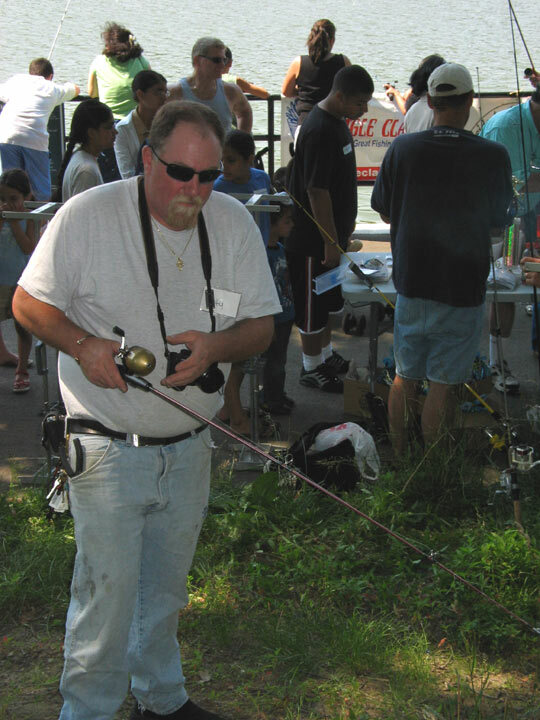 Bait was supplied by Pro Fishing. 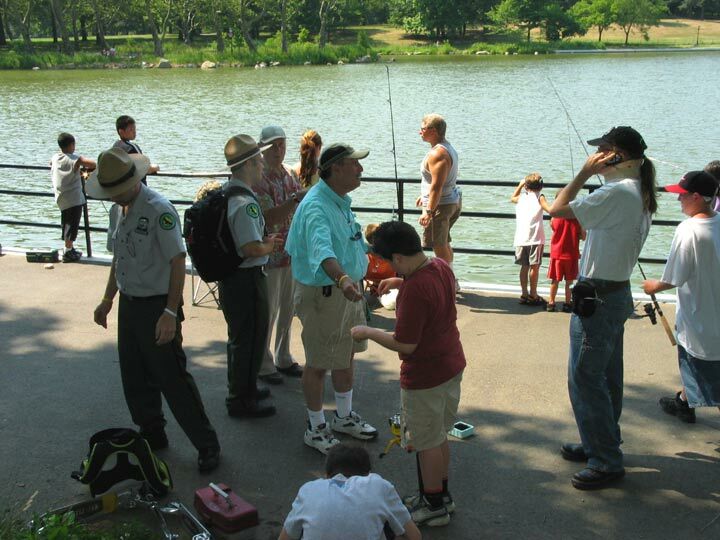 This date coincides with the New York State "License Free Weekend" so that you would not be required to Posses a Fresh Water Fishing License to fish. 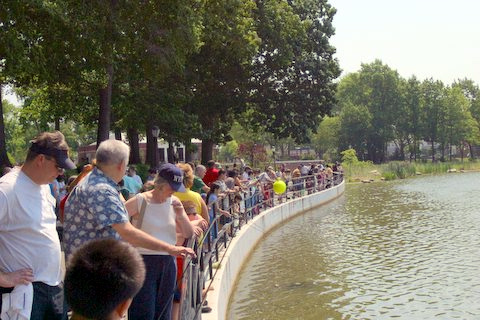 and the lake is wheelchair accessible. 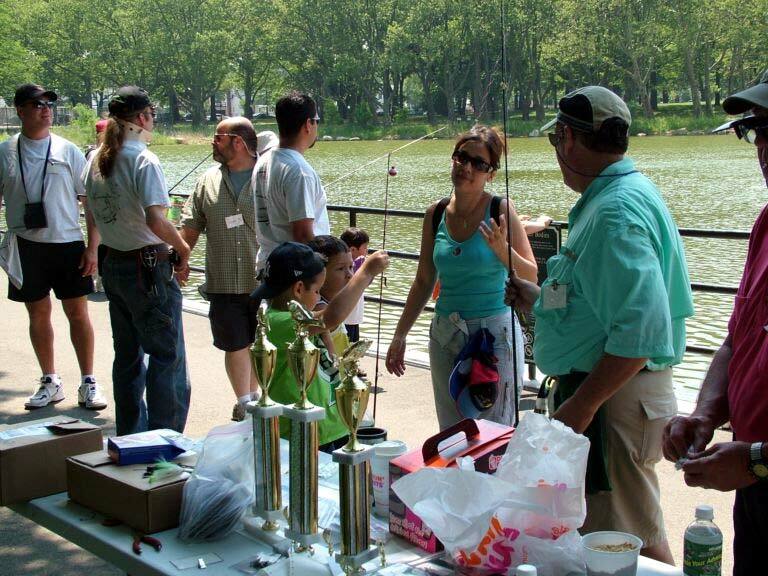 For further information E-mail Event Chairman Stanley Reichlin Jr. or contact our club President Peter Scala Jr. @ 917 797 3872.